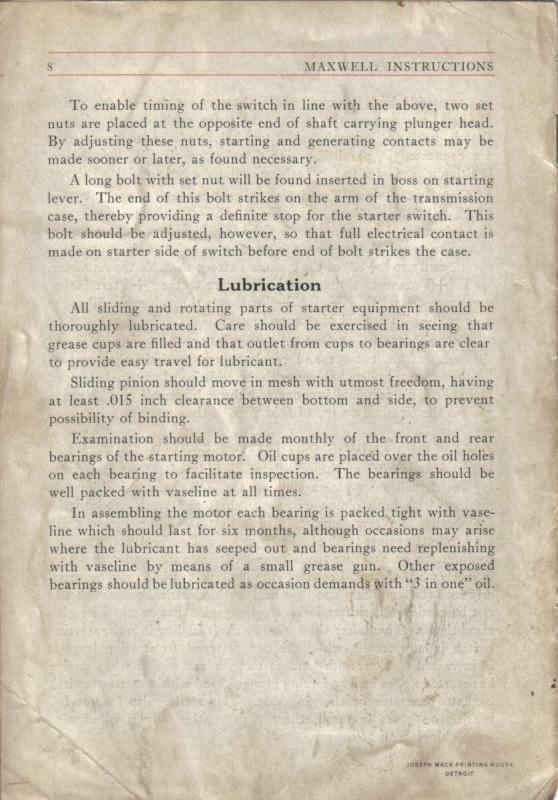 I have a 1916 maxwell and use regular gear lube like you would put in any car or truck. When the car was built they just used heavy oil as gear lube did not exist. 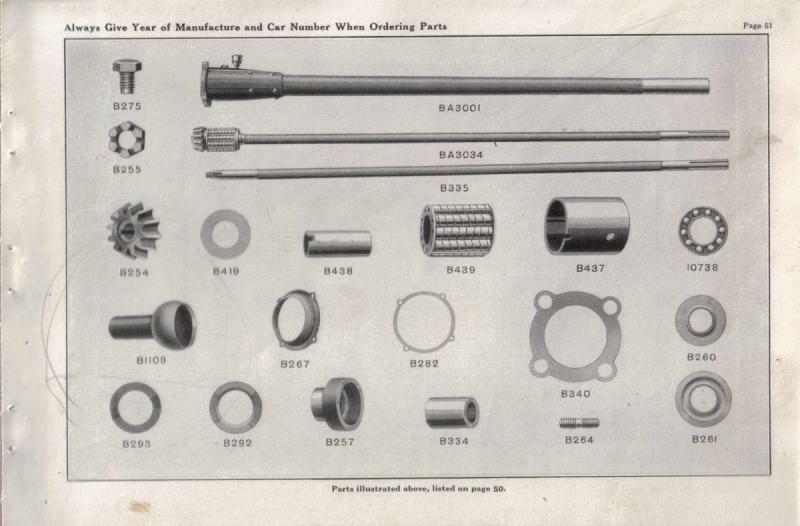 Talbotracer, gear oil is kind of a personal preference based on type of usage and your assumed knowledge of what they meant by "heavy gear oil" in manuals from 100 years ago. Having worked on many cars pre WWII my preference is 600w oil available from many antique Ford parts suppliers. 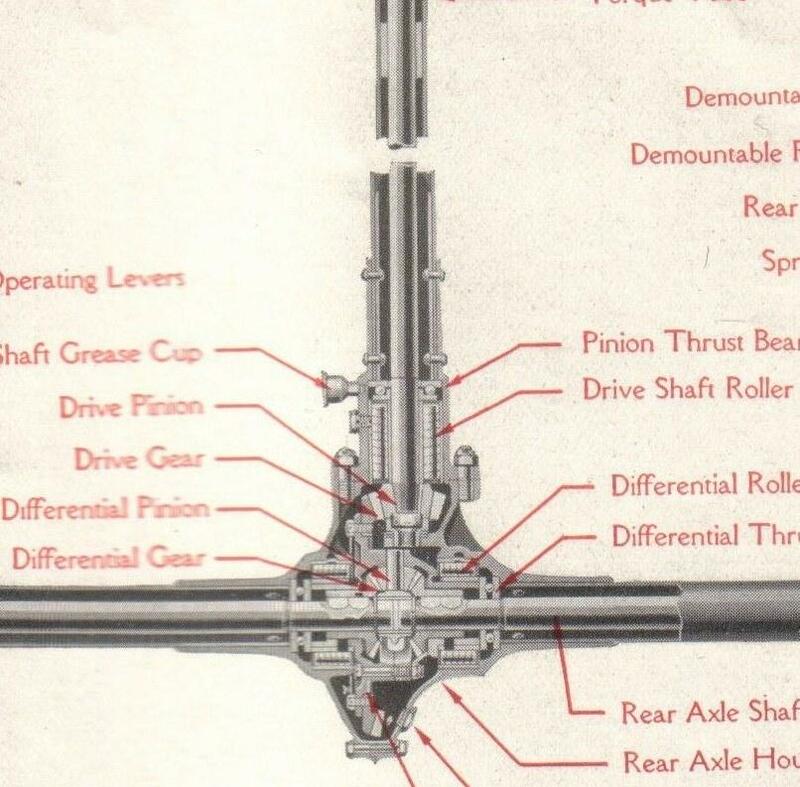 It's been used in millions of 4 and 8 cylinder Fords since almost the very beginning for transmissions and rear axles. 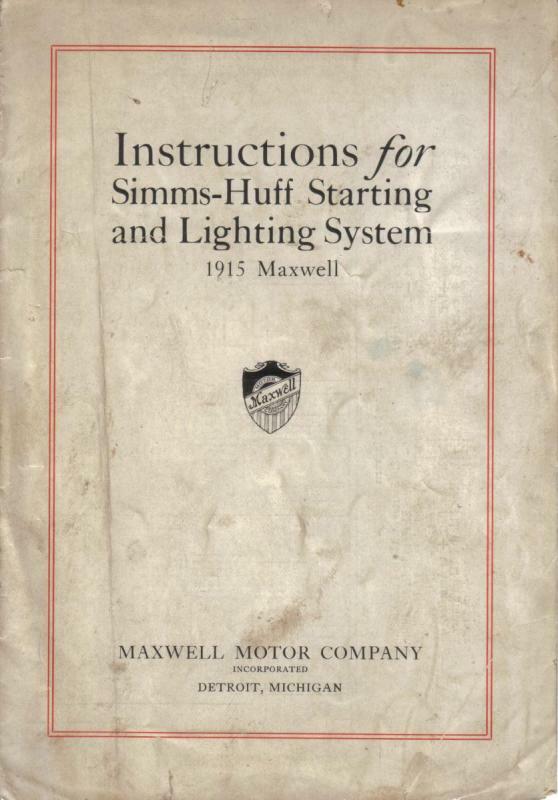 I'm including some pictures from my 1917 Maxwell when I had the rear axle apart. I just discovered I took no pictures of the driveshaft but maybe these will give you a little idea of what to expect. Note I had already removed the damaged ring gear. 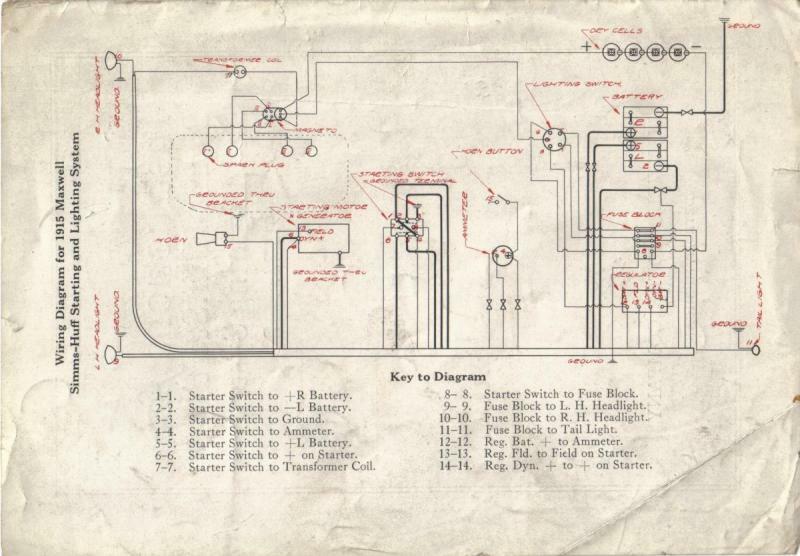 Do you have an owners manual or parts book as they show detailed drawings? thank you for the great pictures, it looks a simple design much like the front prop joint with several places for the wear to happen. 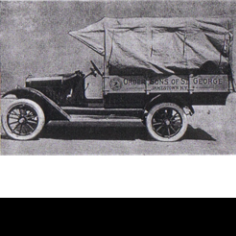 as for the oil here in the UK its harder to find stuff for the T i will need to speak to people over here with this type of car, all my cars so far have been 1920's upwards other than my 1917 ALF but that was built like a brick outhouse! Just another note from my personal experience. My 1917 came to me with a blown rear axle and it took me years and the purchase of the internals of 10 rear axles from as far away as New Zealand to get a functioning rear axle. Every single one had either had a catastrophic failure in the past or was about to when it was parked. If memory serves me correctly these axles run roughly from 1914 to 1919 or thereabouts. It appears that Maxwell was dealing with car production, secret wartime production and a labor force shortage due to WWI. As a result it's believed somewhere during this period the factory over hardened some ring and pinion gears to the point that they were full of spider web cracks and started shedding bits almost immediately. I got one set of gears out of one axle that had a failure and was repaired with all new parts except the carrier which then failed when put back in service and the car was then junked. I thought I had hit a home run until cleaning revealed the spider web cracks all over the gears. I believe the change happened after your car was built and closer to my years but I just wanted to give you a heads up on this possibility. When my uncle first acquired this in the early 1990's I started down the road of trying to fit a Model T Ford center section to the Maxwell tubes and axles and found it was VERY close but my uncle didn't want to spend for the needed machine work and the project was put away until I acquired it in 2007. I decided to try to keep it all original and it was not only costly but time consuming as well. Doesn't look too bad, hopefully yours is enough older than mine that they were still hardening the gears correctly. I've attached pictures of the one purchase I thought was perfect because the gears looked brand new. Notice the damage that the previous mechanic missed when he rebuilt it with new parts when the brittle gears failed and scarred up the carrier just like yours. Apparently the first failure stressed the carrier and it pulled apart inside the bearing race when put back in service. Another area I had trouble with was finding two carrier halves that had a tight fit on the spider gear cross. My theory is when the gears started to fail they lost tiny bits from the hundreds of tiny cracks and the gears and roller bearings ground them up into a very abrasive slurry that eventually wore out any surface it touched. To give Maxwell and Hyatt bearings proper credit I've never seen a broken bearing just highly worn. I doubt if modern bearings could survive such a terrible operating condition but the Hyatt bearings and the little Maxwell just chugged along until something large broke off and jammed up everything till something major broke. Remember if there is brass in the rear axle you cannot use just any gear lube. Most gear lubes will eat the brass. 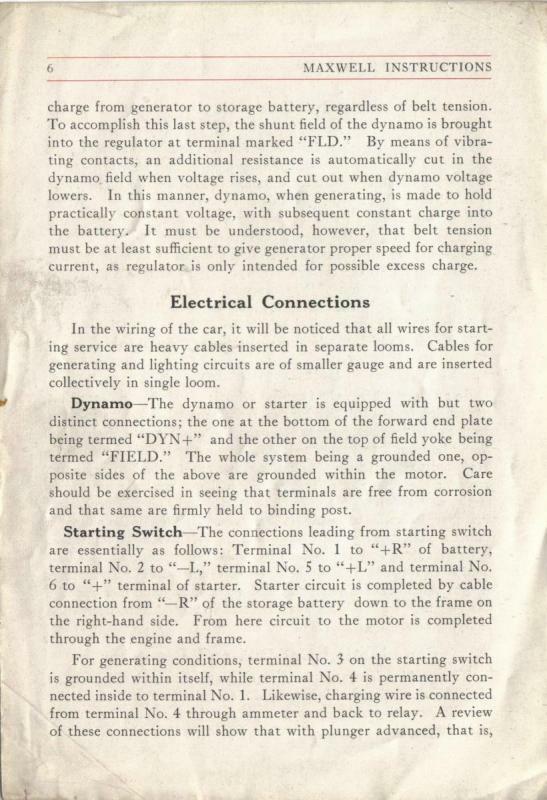 What is the serial number of your Maxwell? Ian, My chassis # 180649 and engine # 181555. Why do you ask? I asked because I misread your earlier statement --hopefully the OP's car is years earlier than yours and hence decent gears. My mind read this as differing gear quality within the same year and I wanted to see how close yours is to mine. The implication was how close is yours to mine, as in what are the odds mine might have stress fractures in the gears, without having examined them. Note: seven key not working. With a serial number of 1691eighty-seven, this interpolated as to late Setember 19Seventeen. The odds are probably not good. Ian, just curious how you figured out when a serial number was produced? Do you have production number tables I've never seen? I took the serial number at the start of the year and the end of the year and interpolated as to when might have been produced. This assumes a constant production rate and is completely unscientific and could, in reality, be off by as much as several months. 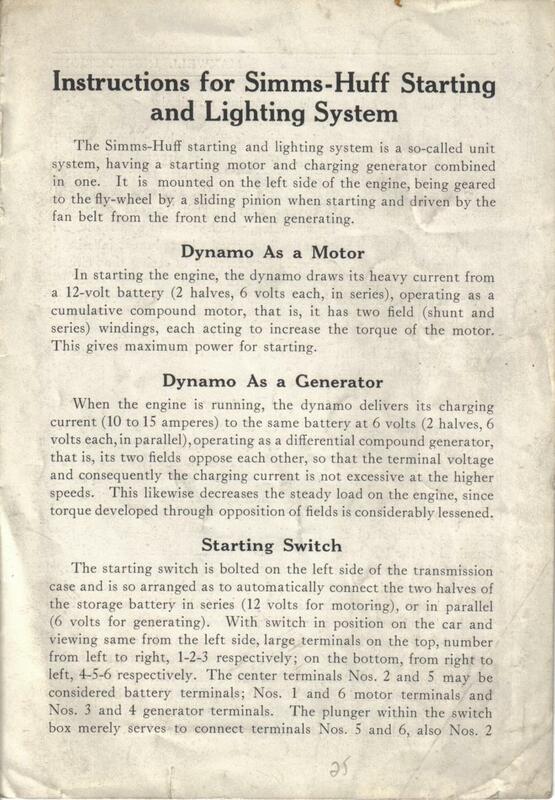 Two questions, do you have a Simm-Huff starter/generator AND also a Simms-Huff magneto? I ask because a lot of things can get changed in 103 years! Here's factory literature on a 1915 Maxwell. Like I said above many changes can happen over 103 years. 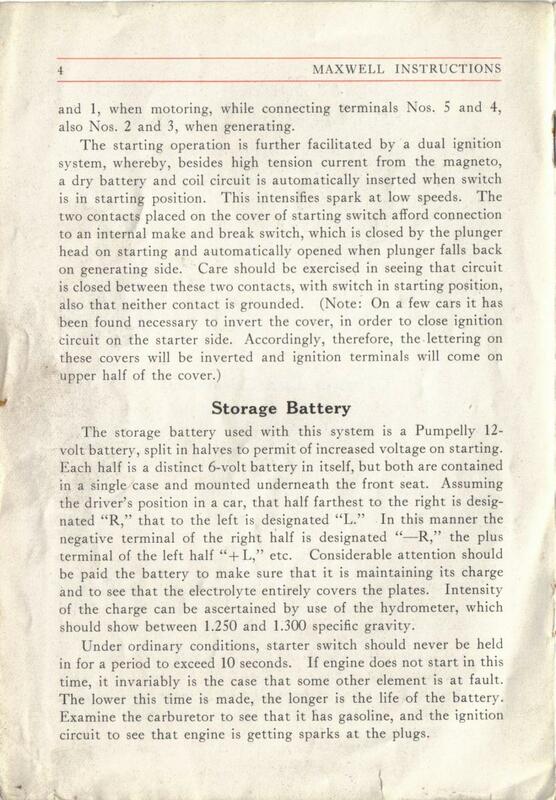 I'm pretty sure your Model T like conversion is an Atwater-Kent distributor that came out on the Late 1917 Maxwell. Between 1915 and 1919 Maxwell used about 8 different dash panels and wiring configurations. Could you post a picture of your dash panel that also shows the fuse panel configuration? 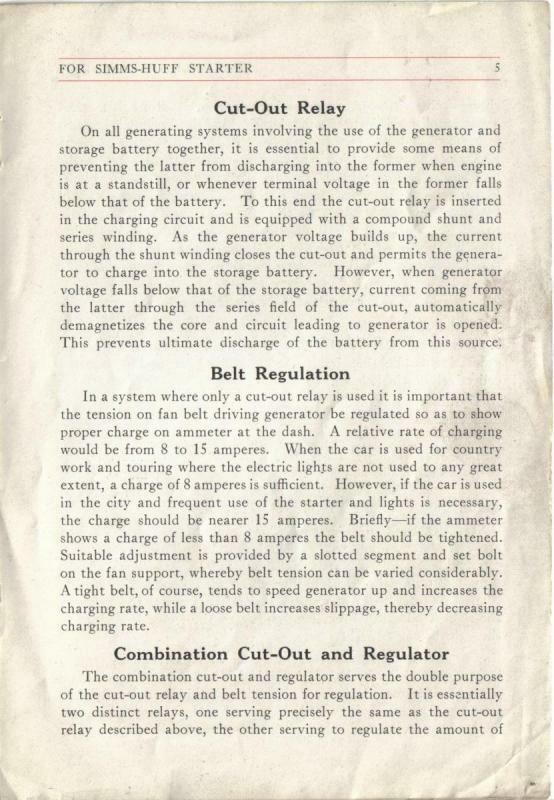 Talbotracer, I was going over my files looking for information to help you when I discovered something I never noticed before because I've never actually physically seen a 1915 Maxwell. 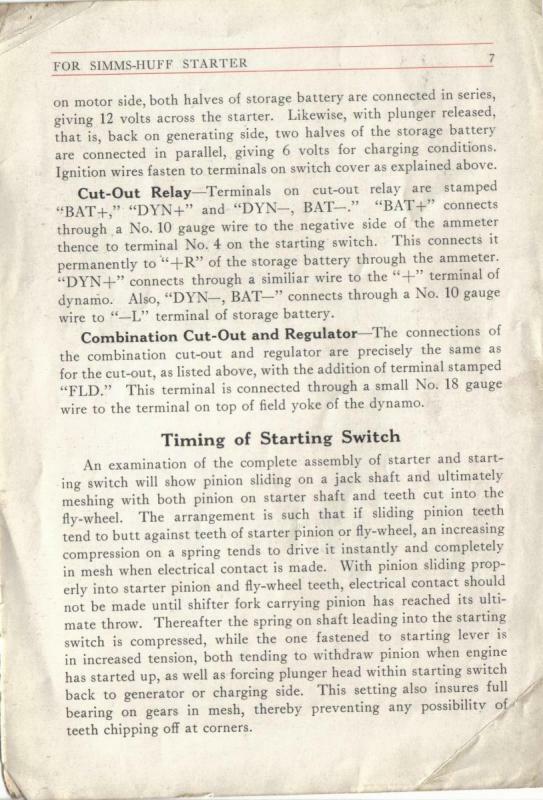 Unlike later Maxwell's it appears yours does not actually have a central dash panel. Maybe you could help me with my files and post pictures showing what your regulator looks like and where it is located?